For millions of believers, Jerusalem is one of the world's holiest cities. Pilgrims from three major religionsJudaism, Christianity, and Islam, each of which is heir to Old Testament theological traditionflock to Jerusalem where many of their most sacred memories are centered. This study of ancient Israel's sacred literature on the topic of Jerusalem is not a speculative exercise. It is a subject of immediate relevance to both the religious and political realities of present-day Jerusalem. The Scriptures inspired by ancient Israel's priests, prophets, and sages provide the foundation for the status of Jerusalem in today's three monotheistic religions. 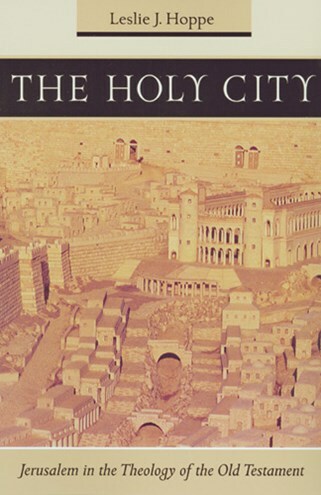 In The Holy City, Father Hoppe explores how the various theological traditions in the Hebrew Bible, apocrypha, and selected pseudepigrapha present Jerusalem. In closing he discusses how early Judaism dealt with the fall of Jerusalem and the destruction of the Temple in A.D. 70. Chapters are "Jerusalem, the Holy City," "Zion, the City of God: Jerusalem in the Book of Psalms," "A Place for God's Name: Jerusalem in the Deuteronomic Tradition," "Ariel: Jerusalem in Isaiah," "Zion Under Judgment: Jerusalem in Pre-Exilic and Exilic Prophecy," "A Vision of Restoration: Jerusalem in Second Isaiah," "Zion Rebuilt: Jerusalem in the Post-Exilic Period," "The New Jerusalem," and "The Liberated City: The Defense of Jerusalem." Leslie Hoppe, OFM, PhD, is a professor at Catholic Theological Union and author of A Guide to the Lands of the Bible and The Synagogues and Churches of Ancient Palestine published by The Liturgical Press. This book is written for a general readership. It is accessible to the nonspecialist as well as to scholars who are seeking a general overview of perceptions concerning Jerusalem in the Old Testament. This readable study can be used by students and teachers, pilgrims and pastors, Bible study groups and all who pray for the peace of Jerusalem. In this fascinating and well-written book, Fr. Hoppe provides a wealth of information on the place of Jerusalem in the theology of the Old Testament. . . . This important book fills a lacuna; it will prove valuable in both upper-level undergraduate courses and graduate classes. The Holy City offers a very sound and sensitive perception of the place of Jerusalem in Israel's developing theological consciousness. The survey method provides a good introduction for students and scholars alike with further references given for those seeking greater depth.